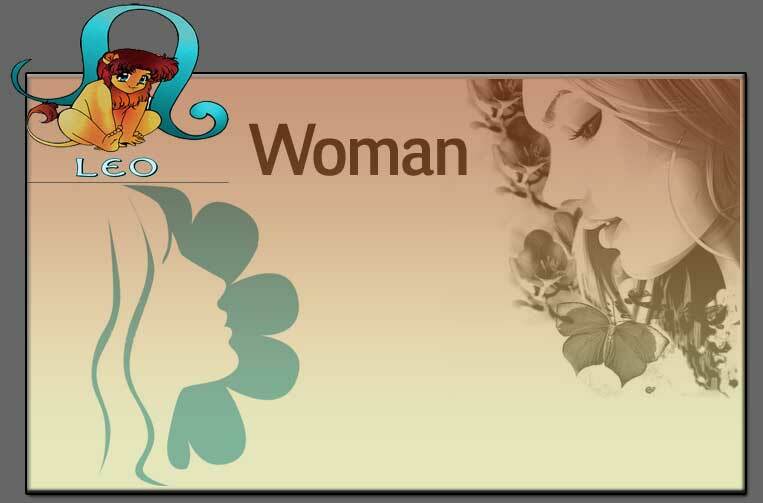 Leo women can be portrayed as magnificent and splendid human being. They are consciously inclined or motivated by sympathy and understanding and generosity. They are very faithful to their loved ones and show an abandoned display of emotion and accept the same from them. But once they feel that they are disdained then they become very punitive or disposed to revenge. Leo women are inordinately desirous of power thus having the air of authority. They are always placed high where they can guide and lead their subordinates. They always want to get the feeling of them being the center of attention of all situations. Leo women can easily command respect from others. Though they are affectionate, kind and generous they fail to see that others also have a say in all dealings. Thus with this attitude they cannot go in a steady pace for a prolonged period of time. They are not particular about sense of clothing. But they have a weak point for when treated with praise or blandishments they fall for it. They have a like for dance and music.